The dissection of the killer whale finished yesterday. This killer whale was very young when it stranded and died. 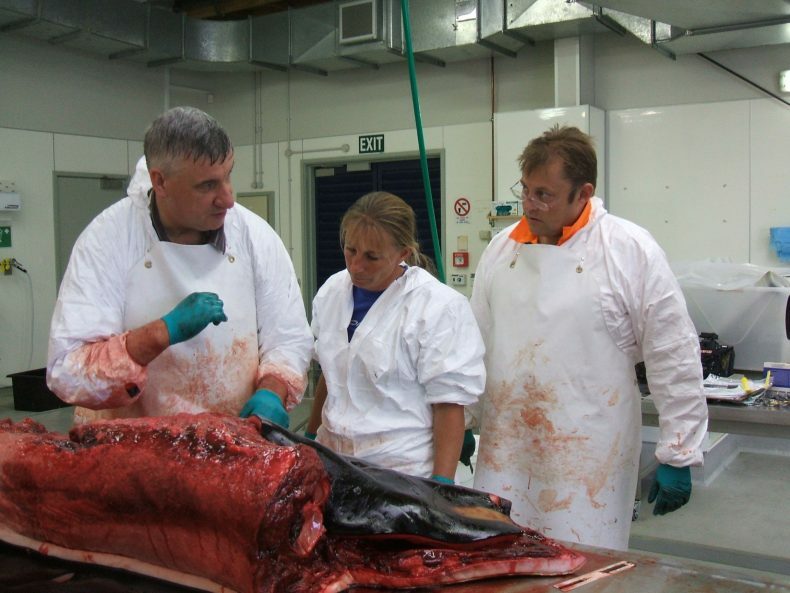 It was given to Te Papa by Te Runanga o Makaawhio and measured just over two metres long. Its tongue had flaps like the pygmy right whale I blogged about a while ago. The flaps mean that it was still feeding from its mother. Another clue to its age were the fins, still curled from being inside its mother. 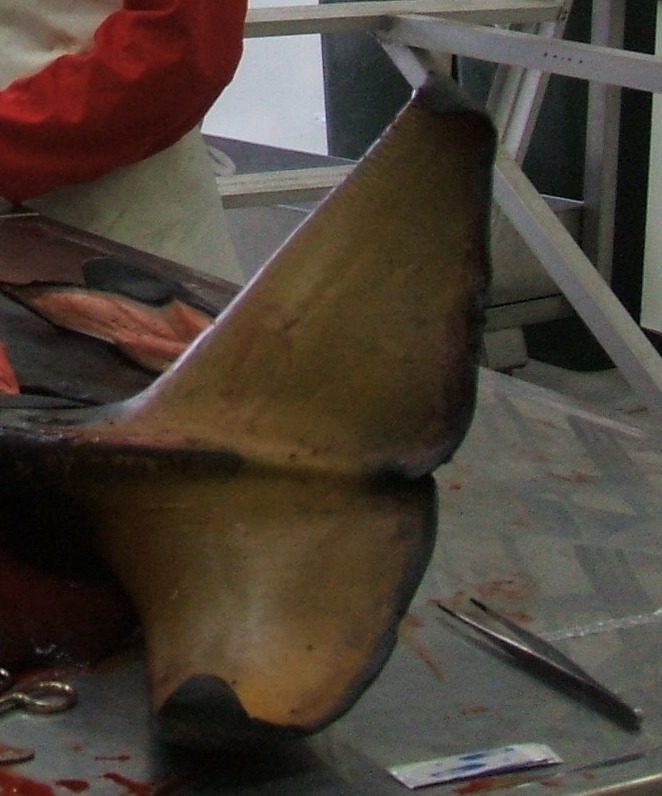 The scientists took several samples of the whale’s organs for testing for bacteria and infections – these could indicate what caused the whale to strand. This whale had bruising injuries to its body and head, most probably from being rolled up and down the beach by the waves. Still, Anton was intrigued by the bruising on the head and one of the Wellington Zoo staff who visited us during the course of the morning was able to hook us up with Massey University in Palmerston North who have a CT scanner. The scientists have gone up there this morning to find out if the head bleeding was the result of a fracture. Hopefully we’ll get some images from the CT scanner to post on the blog soon. We are also taking x-rays of the whale’s flippers. WOW. I’m amazed that most of the commenters here lack even the most basic reading comprehension. How do YOU sleep at night? It must be painful to be that stupid. This is a very interesting opportunity. Wow. Idiots. These are my favorite animals, too; however I am able to read and see that this whale was already dead. There is nothing wrong w/ dissecting dead creatures to gain scientific knowledge. Wow it’s…pretty apparent that everyone who’s posted so far (other than Jane) are total idiots. I’m guessing they took the once over on the pictures and assumed all of you to be poachers, or sick twisted scientists killing these animals for experiments. Needless to say, they’re wrong on just about every level. You guys shouldn’t do that even though it is for reserch that is wrong they are my favorite animals and it hurts to dee those photos. Please don’t post these pics! the post clearly states that this animal had stranded and died. 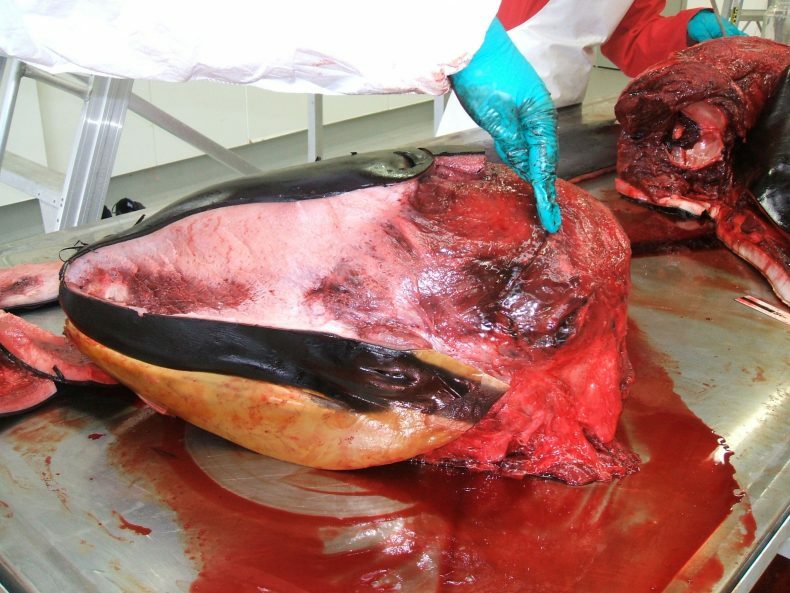 The museum does not kill whales for scientific research.